Buying or selling a home is one of the biggest decisions most people will make in their life. When you choose a real estate team you want to choose one that has your best interests at heart and one that is working with you for all the right reasons. So now you might ask, who is Team Martin? What do we stand for? What is our mission? What should you expect from you. Mission: People helping people to better lives through real estate. Vision: An exceptional team of Real Estate Professionals providing unparalleled level of service to people within our greater community. Core Values: Accountability, Knowledge, Professionalism and Sincerity. Beliefs: Principles are beliefs we hold as truth that provide the foundation on which we conduct our lives and our business. Commitment: Consultants are for life. Relationships: Close relationships are more important than transactions. Values: Great decisions are values based. Trust: By speaking the truth, we become trustworthy. Growth: Progress, not perfection! We are committed to continuous growth. Perspective: When we focus on what matters to our team, our families and our clients, what matters grows and thrives. 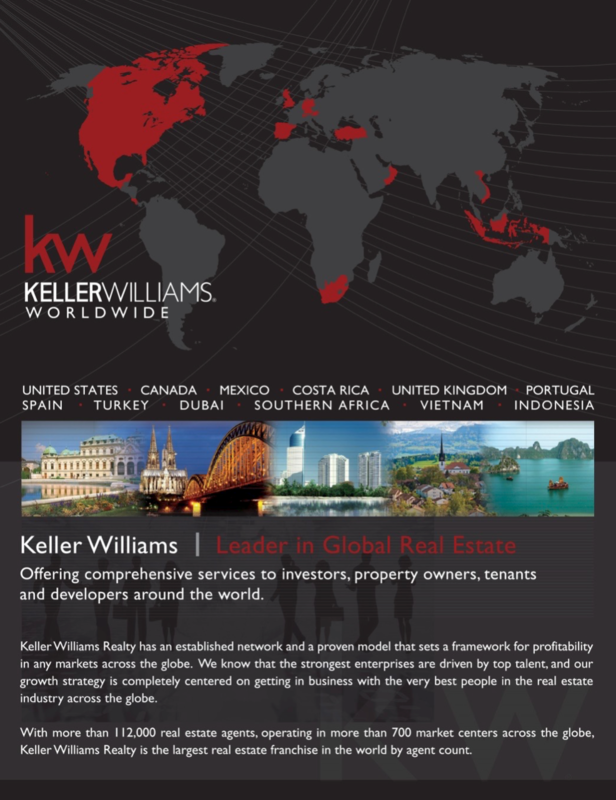 700+ offices in the US and Canada (50 Major Markets), including International presence in Costa Rica, Dubai, Indonesia, Mexico, Portugal, South Africa, Turkey, Spain, the UK and Vietnam. Leading-edge tech tools and training give my team the edge in effectively marketing your property online, 24 hours a day, seven days a week! 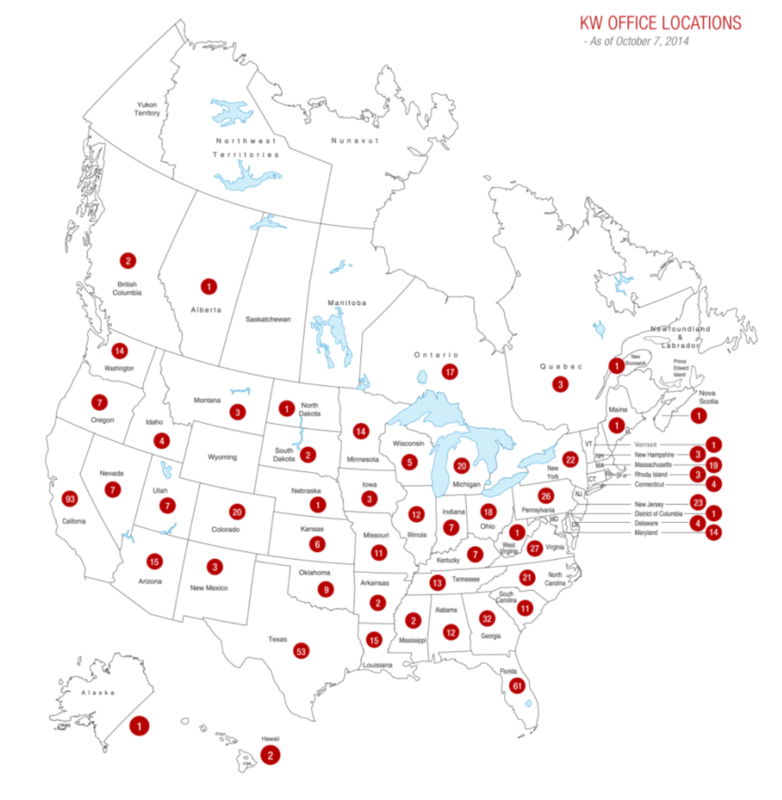 Through KW’s exclusive Keller Williams Listing System (KWLS), your property is fed to more than 350 online search engines and available on KW’s Web network of more than 76,000 sites. Best of all, because of Keller Williams Realty’s “My Listings, My Leads” philosophy, every single Internet inquiry on your property will come directly to my team so that I can follow up quickly on potential buyers for your property. This is also how we have built our database of future buyers. Keller Williams Realty helps my team stay ahead of trends in the real estate industry through its comprehensive, industry-leading training curriculum and research resources. It’s what prepares me to provide you with unparalleled service. Founded on the principles of trust and honesty, Keller Williams Realty emphasizes the importance of having the integrity to do the right thing, always putting your needs first. It reinforces the belief that our success is ultimately determined by the legacy we leave with each client we serve. I’m proud to work for #1 Real Estate Franchise in the World, by agent count! It’s proof that when you offer a superior level of service, the word spreads fast.